slide (photograph). Director: Laurence Senelick. 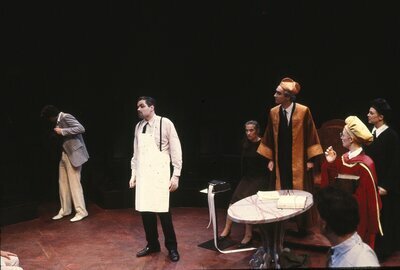 Shylock, wearing a white apron and played by Oliver Platt, leads a conversation as others look on in a university production of The Merchant of Venice.